The history of offset printing gets its start in the 19th century when Robert Barclay invented the first lithograph offset press in England in 1875. The original offset press involved using a hard stone or metal to print directly upon metal. This method used two cylinders, the metal or stone cylinder, and a rubber cylinder to pull the item being printed upon, through the press and print upon it. Not too much longer afterwards, Ira Washington Rubel noticed that when he printed upon paper, the image he was printing would appear on both sides – on one side it would appear from contact with the metal cylinder, but on the other side it would appear from contact with the rubber cylinder. Rubel noticed that the printing from the rubber cylinder was much clearer than that of the metal cylinder. He was credited for having invented the offset printing press as we've come to know it today. After Rubel noted that the press was much more efficient when the image was transferred onto paper by the rubber cylinder, he created the first offset lithograph printing press. He sold this press and it was shipped to San Francisco for $5,000. Around the same time, a set of brothers, Charles and Albert Harris found they had the same results as Rubel had with the rubber cylinder. They formed their company, the Harris Automatic Press Company not too long after Rubel had created his own press. By 1914, Kawamura Kijuro Shoten saw that the offset press was gaining popularity in Japan, and the company wanted in on the innovations being created with regard to the press. The Kawamura Kijuro Shoten company began experimenting to create the best pigment ink for use with the printing press. By the time they released their product in 1915, there were more than 100 presses within Japan. Sales for the company skyrocketed. Artists began to use offset printing to reproduce their works of art. They found that this printing method produced a superior and sharper image than traditional letterpress printing was able to produce. At this time, illustrations became much more popular in books and for prints since the method of reproducing illustrations became much more simple and cost-effective. By the early 1950s, most of the United States' newspapers were using offset printing to produce their daily copies. Because the costs of offset printing had fallen so low, especially when compared to the laborious letterpress printing methods, many authors started looking at self-publishing as a viable method of getting their words into readers' hands. The fact that authors were now able to pair up with an editor and go directly to the press revolutionized the way that the publishing industry operated. In the 1960s, offset printing overtook letterpress printing in terms of popularity. 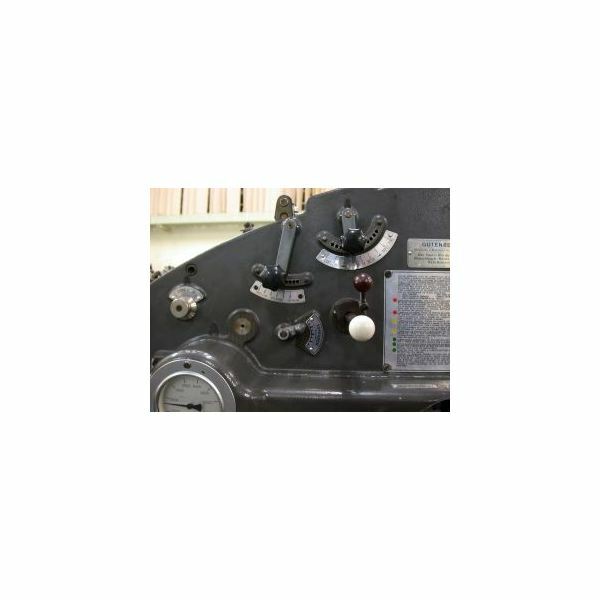 During this time, methods were developed that allowed presses to electronically set their type and the images they wanted printed on the press. This began the process of eliminating the need for a metal plate with recesses – the creation of which would often expose press employees to dangerous fumes. This trend continued into the 1970s when computers with lasers were developed to create the image that would be printed. Currently, 50% of printed material in the United States continues to be produced by offset printing presses. While digital printing methods are gaining in popularity, they still cannot maintain the volume of output that offset printing maintains. While traditional offset printing involves creating a layout on a lightboard, photographing the layout, burning the negative onto a metal plate, treating the plate with chemicals, and then printing; modern methods allow graphic designers to create their layouts in computer programs such as Photoshop and then burn the plates with lasers directly from the computer, saving many steps. Thus, offset printing still manages to maintain a high quality when compared with other printing methods.